Today’s file additions for NBA 2K11 PC include a couple of updated releases from DaCrispy, namely new versions of the G-League roster and court creation template. Check them out at the links below! We have one new file addition for NBA 2K11 PC today, specifically a court template created by DaCrispy. Check it out at the link below! We’re wrapping up the weekend with some new file additions for NBA 2K11 PC. The latest releases, which include a generic face pack, an update for DaCrispy’s College Hoops 2K mod, and a new jersey for the Miami Heat, can be picked up at the links below. 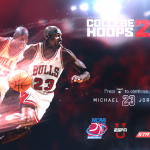 I’m also working on some projects of my own for NBA 2K11, so stay tuned! This is Wayback Wednesday, your midweek blast from the past! In this feature, we dig into the archives, look back at the history of basketball gaming, and indulge in some nostalgia. Check in every Wednesday for retrospectives and other features on older versions of NBA Live, NBA 2K, and old school basketball video games in general. You’ll also find old NLSC editorials re-published with added commentary, and other flashback content. 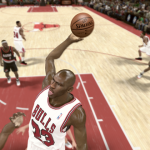 This week, I’m taking a look back at one of the best modes in NBA 2K11 (and indeed basketball games in general), the Jordan Challenge. 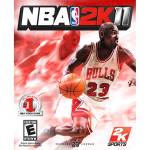 It recently occurred to me that while I’ve discussed Michael Jordan’s presence in NBA 2K11 and ran a series of articles in which I went back and finished all the games in the Jordan Challenge, I’ve yet to post a retrospective dedicated solely to the mode. I’ve obviously discussed it in those previous features, but given how special the Jordan Challenge was, it’s about time I rectify that. Besides, if responses to recent posts on our Facebook, Twitter, and Instagram are any indication, a lot of people are still quite interested in talking about NBA 2K11! Welcome to this week’s edition of The Friday Five! The Friday Five is a feature that I post every Friday in which I give my thoughts on a topic that’s related to NBA Live, NBA 2K, and other basketball video games, as well as the real NBA, and other areas of interest to our community. The feature is presented as either a list of five items, or in the form of a Top 5 countdown. This week’s Five lists what I feel are the five most significant years in the history of basketball gaming. 2019 is upon us, and as always, I’m hoping that it’ll end up being a fantastic year for basketball gaming! Hopefully, we’ll be able to get a lot of enjoyment out of the 2018 releases for the next eight or nine months, and then get our hands on even better titles to close out the year. While the success of basketball games ultimately rests with their respective developers, we shouldn’t underestimate the impact that we can have as a community. As such, it’s important that we speak up with constructive feedback, so that we can do our part in making 2019 a big year on the virtual hardwood. There have been quite a few milestone years for basketball video games over the past three decades. They’ve marked significant improvements within the genre, through the release of many memorable games that have gone down as classics. Of course, there are also years that have been significant in terms of basketball gaming for far less positive reasons. As we tip off a new year and hope for the best when it comes to the future of basketball gaming, I feel there’s value in looking back at the road that hoops games have travelled. After all, it’s essential that forthcoming games not only build upon the success of their predecessors, but also avoid some of their pitfalls. Contributor DaCrispy has uploaded a handy resource for NBA 2K11 modding projects. The resource includes values for a variety of generic Create-a-Player appearances (complete with previews), ideal for use in any projects that require fictional players or placeholder faces. Check it out at the link below! 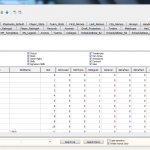 RED MC & REDitor II Updated; All Functionality Now Free! I’m a few days late in posting this, but Vlad delivered the NBA 2K modding community some fantastic news for Christmas. For the first time in quite a while, new versions of RED MC and REDitor II have been released. The new versions contain a couple of minor bug fixes, but the biggest development is that all functionality is now available for free! We still have quite a few people modding and playing the older NBA 2K games on PC, and these new releases will undoubtedly be a boost for that contingent of our community. For those who are unaware, the tools are comprehensive roster editors and modding utilities, used in the creation of projects such as the Ultimate Base Roster and U R Basketball. REDitor II is compatible with NBA 2K10, NBA 2K11, and NBA 2K12, while RED MC is used with NBA 2K13 and NBA 2K14. A huge thanks to Vlad for his hard work over the years, and for now making these tools freely available for everyone. For modding tutorials and resources, please check out the appropriate sections in the NLSC Forum. We have a couple more updates for a classic today, specifically NBA 2K11 PC. Check out DaCrispy’s 2019 season court and arena updates for the Los Angeles Clippers at the links below! Today’s file additions for NBA 2K11 PC feature more court and arena updates from DaCrispy. Download them all at the links below! Newly minted Contributor DaCrispy has been doing some excellent work with NBA 2K11 PC, as you can see from today’s file additions. His latest releases include 2019 season court and arena updates, and a G-League mod. Pick them all up at the links below!